It is winter time, although with the way the weather has been behaving the past few years I am not sure that nature knows how to respond. Animals and plants do not have clocks and calendars, they react to their internal clocks and the way the weather is. If it is warm they might not realize winter is on the way and they need to prepare. If there is no water they might not be able to prepare. If their homes or hunting grounds are being torn up because buildings or houses are being built they might even be at more of a loss. But there are still a few fruits and veggies we might see during the winter. Perhaps not all of nature is confused. One is the delicata squash I recently mentioned. A friend was over asking if we ate the skin. She also mentioned winter squash and while I had heard the term before I never really paid attention. It used to be in the same category to me as how things are classified. I never paid attention to what is a winter squash and what is a summer squash. I just buy what is in the store. I have been receiving winter veggies and fruits in my delivery. Perhaps more accurately described as fall fruits and veggies. I have pomegranates, persimmons, and pears. We have received chard, sweet potatoes, pumpkins, and delicata squash. What do you do with that stuff? You know me. If you have read one, you’ve read them all . . . I roast it. Roasting is so easy. 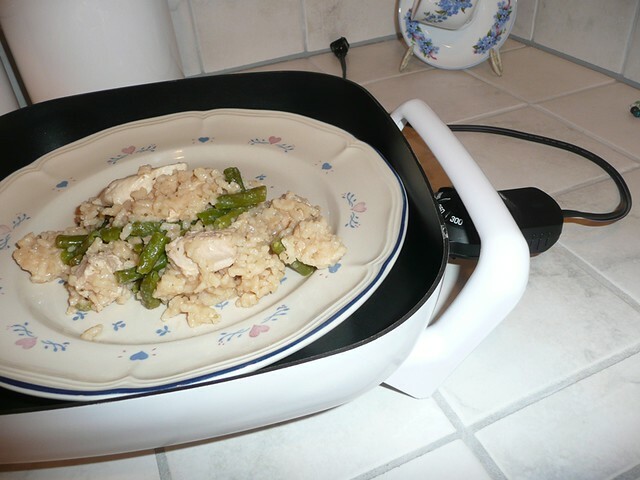 It is easy, tasty, and time efficient. Time really is the main reason why I love roasting. Cut it up, oil it, garlic it, salt it and put it in the oven, then go do whatever it is you still need to do. So easy. But I can’t do that for everything. Ok, with the squash I get “fancy”, I roast it THEN I stuff it, but c’mon . . . there has got to be other ways. 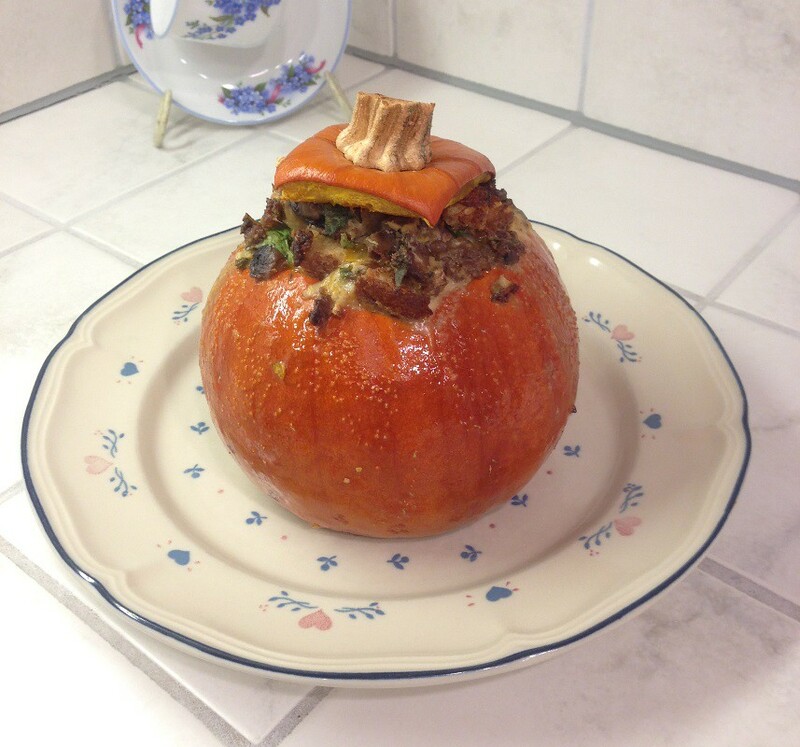 Tonight I made a stuffed pumpkin. I didn’t have any ricotta so I used the Neufchâtel cheese I had left over from the chicken dish I made – documented in my post Leftover Rainbow Chard To The Rescue. I think it might have even made it better. I’m not sure. I just didn’t want to buy a container of ricotta just for 2 ounces. So I just decided to use the Neufchâtel since I had bought 8 ounces of it and only used 2 ounces. It was fine. I do want to roast a pumpkin to make soup out of it, but what else do you do with all of these wonderful winter vegetables. I have never gotten beyond my Fancy Toast when it comes to persimmons and I have about seven sitting on my counter right now. What do you do with persimmons? Can they be uses in a “salsa” or a chutney? Can you use delicata squach for soup? I also received some baby bok choy. Read any of my posts? If so, you know I LOOOOOOOVE baby bok choy. It can be cooked and eaten by itself or added to just about anything. YUM!!!! I am just thinking you might have ideas that you could share. Some tried and true, some favorite recipes that you might want to share. I asked last year and I received a SPECTACULAR recipe I am going to share soon. It is easy and yummy and one of those things you make that you just want to put on/in everything because it is so good. You can eat it by itself. So . . . what have you got? What do you do with all of or any of this wonder winter produce we have? I love the grocery store that is near the facility in San Jose where I teach Nia on Tuesdays. Right after Nia class I can easily stop by because it is literally on the way home. It seems so new because it is fresh and clean! They have a very large produce department. Today I purchased some dandelions greens. Yeah, I bought a weed. You might know that I have mentioned that different plants fall into different botanical families and how we might think of it as a vegetable but it is really a fruit according to the world of botany. I have shared how I cannot keep track of that. Well, I am going to have to start at least when it comes to greens. Apparently when you eat a lot of greens over an extended period of time you risk eat high level of toxin. It is important to rotate the family of greens. 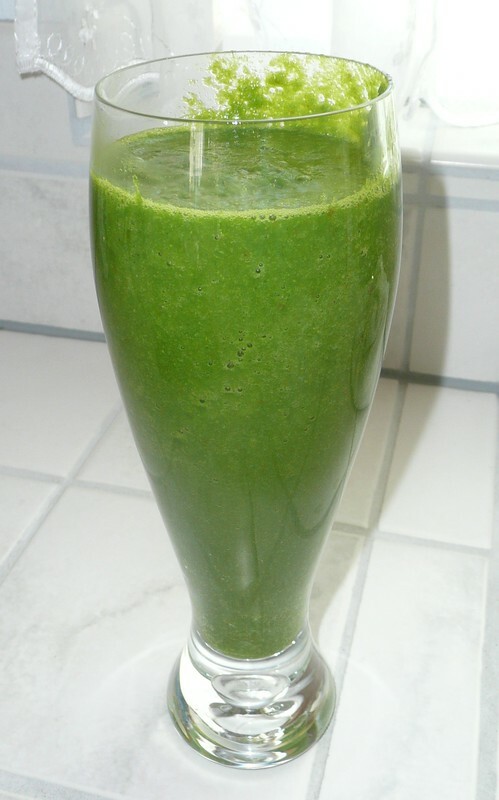 I’ve been mixing a bitter green, such as kale, with a mild green, such as baby bok choy or spinach. Now according to the families it’s ok to mix the kale with the baby bok choy, but if I want to rotate my greens by doing it between the different families then I shouldn’t mix kale and spinach. For me I think rotating between different families and keeping them separate will be easier than try to track two families then switch to another, but we will see. I love spinach and baby bok choy so I think it would be better for me to keep them separate so that I can have one or the other more often. I have yet to try lettuce in a smoothie. As I mentioned, I just bought my dandelion greens and I have not used them because I have a large amount of spinach I want to try to make a dent in first. I did read they are bitter so, maybe this will be an opportunity for me to try lettuce in a smoothie. I feel that mixing a bitter green with a mild green cuts the bitter so that is what I have been doing. The information I have seen said that spinach is mild and that is what people start with so I was using that as my “mixer”. But now I will try to use something from the same family in order to keep with my plan of rotating between families. I don’t know that I am really so concerned about these toxins building up to unsafe levels because I think I do a good job of switching, but this type of information gives me an extra push to really work to get the variety of greens in my smoothies. I mean aside from wanting to have more greens I do think of my smoothies as a way to get nutrients from greens that I would not normally eat. As an example, I eat spinach all the time so it is good to for me to “have” to branch out with some of these other greens. 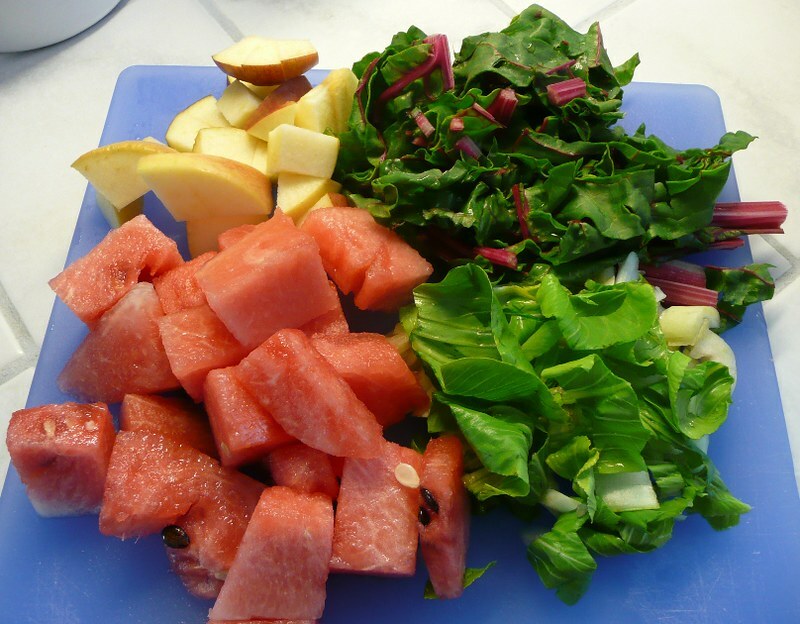 A good variety of fruits and vegetables is how we get the most nutrients out of our food. Also, having this information is good because if you do start feeling ill/off you could look to this information to see if you are consuming too much of one thing and it may be the cause. Do you rotate your greens? How do you do it? 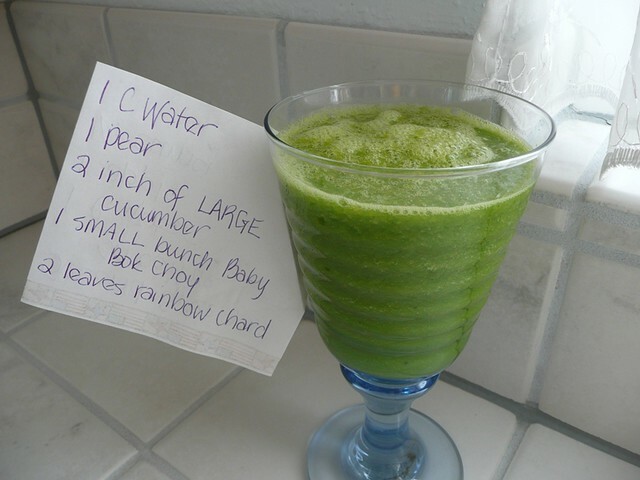 Ok, I really am not going to turn this blog into a Green Smoothie blog, but . . . I have been making them almost every day and I really would like to share so we will see where it goes. And, as I have told you in the past, food posts are VERY popular. So my third ever green smoothie was Pear, Cucumber, Baby Bok Choy, and Rainbow Chard. It was pretty good. I don’t usually eat pears. There is a salad that I make in which I include pears, but beyond that, I don’t eat them. Cucumber I have almost every night in my salad. 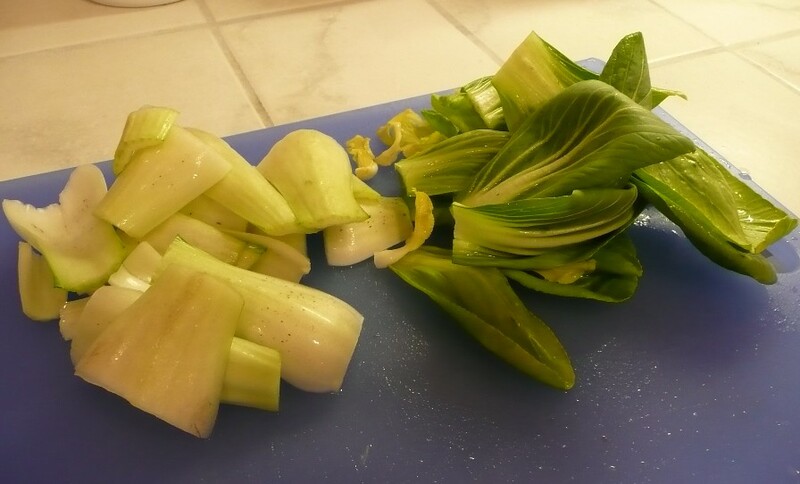 If you have read my blog for a bit you know I am in LOVE with baby bok choy. And this is my introduction to chard. I think that cucumber is a great equalizer. It really helps mellow out flavors. The pear worked well to sweeten the smoothie. I am thinking that chard is not that bitter because this was not a bitter smoothie. It was nice. It was smooth. This one goes on my list of likes. But right now I am just experimenting and putting whatever I have in the smoothies. I am not doing it to lose weight, or detox, or cleanse, or any other reason but to get more fruits and vegetables in my diet. So for now anything goes. And let me say, that everything does not really go! 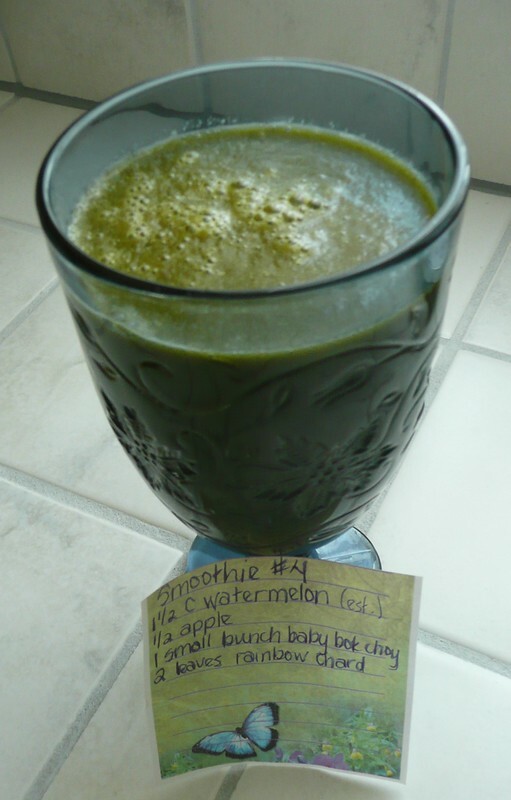 With my fourth smoothie I was using watermelon and I thought I had read that if you use a really watery fruit such as watermelon you can skip the water. Since I was using such a large amount of watermelon I didn’t use any water. Worked out fine. It was not a pretty green so I used a dark blue glass, which made it even less pretty. But it was tasty. I really like watermelon in the smoothie. supposed to be an enjoyable way to get some veggies and provide my body with additional nutrition, not make me suffer. So I added the banana. 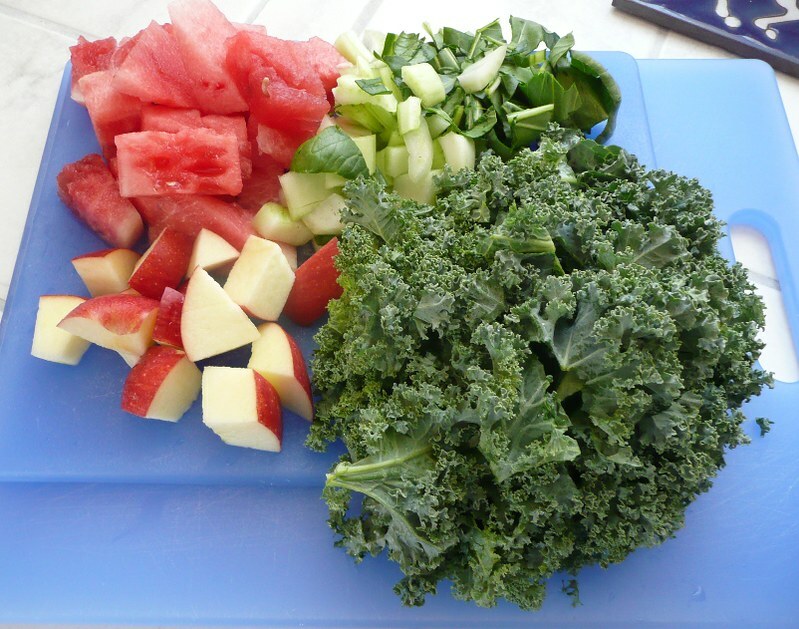 I will just use less kale next time. Because I really do want to be drinking more of a veggie smoothie than a fruit smoothie. It is really funny because cooking kale in foods and putting it in salad does not taste as bitter to me. But for some reason, whirred up in a smoothie . . . whew. Could be I don’t usually have THAT much kale. That was a lot of kale. Maybe there is a recipe here you might enjoy. Let me know if you try one. Or share what you are putting in your blender. I spent a large portion of the day practicing Alive, it is the Nia routine I am starting to teach. I debuted it Friday, but I need to practice and practice. In Nia we say, “tight but loose”. So I need to know the music and choreography to perfection which allows me to dance with it and play to it is loose and flowing and fun to my Nia students. So practice and play is the key. I was so busy having fun with it I didn’t have a lot of time to come up with a blog post. Because I also spent some time in the kitchen making a different version of my Baby Bok Choy and Spinach Soup recipe. 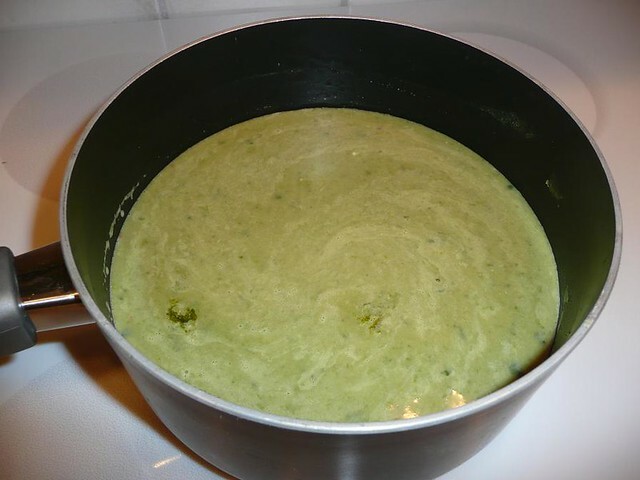 The people I made it for convinced me that it was good enough that I could use my adaptation of my Baby bok choy and spinach soup recipe as a post. So here goes. 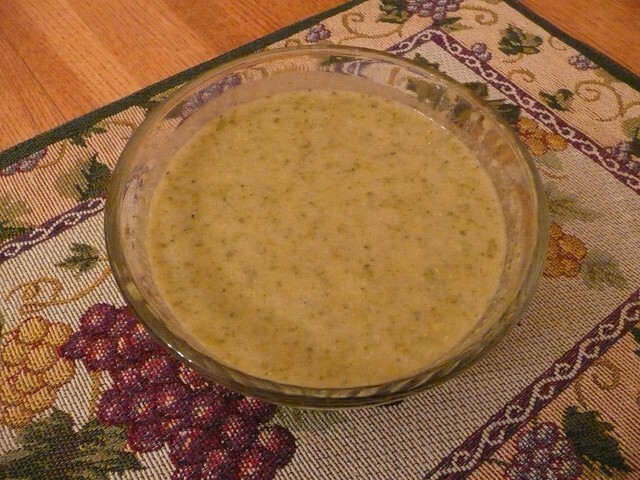 The parsnips give this a little difference flavor and the broccoli leaves little green specks in the soup no matter how much you blend it. Actually when you look at it, it looks the same as all the other soup I make. But it tastes different. I was trying to make something easy to eat for someone with a sore throat. This soup is kind of thick yet easy to swallow and it packs a punch with all the vegetables it contains. Thank you so much for taking the time to read this and let me to continue to share my soup experiments and at the same time put spending time with friends and family at the forefront of life! On the way to teach my Los Gatos Nia Class on Friday I thought that I would be making soup on a warm day. By the time Nia class was over it was getting cloudy. I was thinking it might turn into a good day for soup. I was going to attempt the Green Garlic Spinach Soup. On the way to class I decided to shop at the store somewhat on the way home from the fitness place. I had never been there and was hopeful they would have green garlic. Since it looks like a scallion I was thinking that I had seen it in stores before and I just didn’t know what it was. Well, some of the produce at the store was less than desirable. I passed on the collard greens and I couldn’t find the green garlic. I had my mind made up that I was going to make soup using my emulsion blender. I decided that I would make baby bok choy and spinach soup. I am going to share about the soup making process and issues in this post. My next post (Tuesday) will be the “recipe”. I bought the basic ingredients I would use. By the time I left the store it was cold and cloudy. Perfect day for soup. When I got home I decided to get out the blender to figure out what blade to use and to wash the blade. I neglected to look at the blade my friend used. In looking at the instructions I was thinking “blade C” would be the right blade. Since I’ve never cooked bok choy before and I didn’t really know if it would work, I decided to sauté the bottom portion of the stalk and save the leafy part to add to the soup at the same time as the spinach. I sautéed the veggies. When I finally added the broth I was thinking this soup was going to be pretty flavorless so I added some of a beer that was open in the fridge. It was a Hefeweizen. So it was going to add some heartiness. I also put in a dash or two of teryiaki. I let it boil then added the leafy part of the bok choy and the spinach. I thought my friend had just let it cook long enough to wilt it. The instructions for the blender said that when you use blade C use it in a chopping motion. Ok. So I stuck the blender in the pot with one little pulse I thought, “Hmmm . . . . I should cover this.” With the next “whrrrrr”, I thanked God because I was going to heat some bread in the oven on foil but decided not to and I think that having the piece of foil out already is what kind of made me think to use it. Even with the foil it made a mess. I used blade C but it wasn’t getting creamy. So I added some cream cheese. Not part of the original soup plan. I tried blending again. Still not creamy, I added the rest of the spinach. Still not as creamy as my friend’s soup. I decided to use a different blade. Blade B. I put it on and put the blender in the pot and it did absolutely nothing. So I decided to go back to blade C. Now mind you, I was very careful to unplug the blender, and detach the stick from the motor. So I walk over to the place where I have to blade removal tool and there is no blade. Well, no wonder it wasn’t doing anything! So I fished the blade out of the soup. I put it back on and it still didn’t do anything. So I was going to change back to blade C and guess what? Blade B was back in the soup. I tried blade C again. By now, I am using a portion of a lid and foil (I have this half metal half plastic lid and the plastic always falls out leaving the metal “rim” — so I was using that to help keep the mess down). There was still green soup dripped all over the sides of the pot and all over the burner. 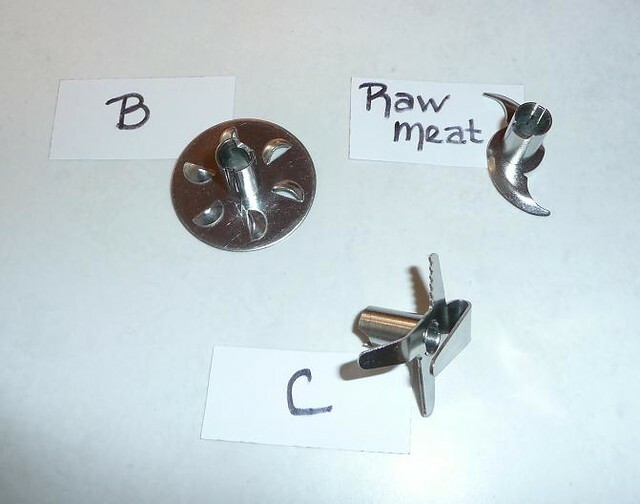 So I decided to use yet a different blade, the Raw Meat blade. I never really got ALL the secondary spinach chopped up clean and the soup never got creamy. But my hubby said over and over again it was good. He said it was a keeper. The next day (today) he was still talking about it and said I had to post the recipe on my blog. 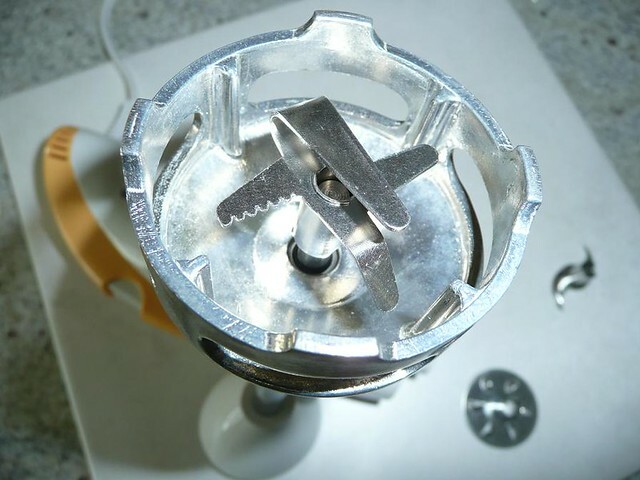 I thought that those of you that make soup and those of you that use an immersion blender would enjoy hearing about how I made soup a mess by not using a stock pot or the correct blade. 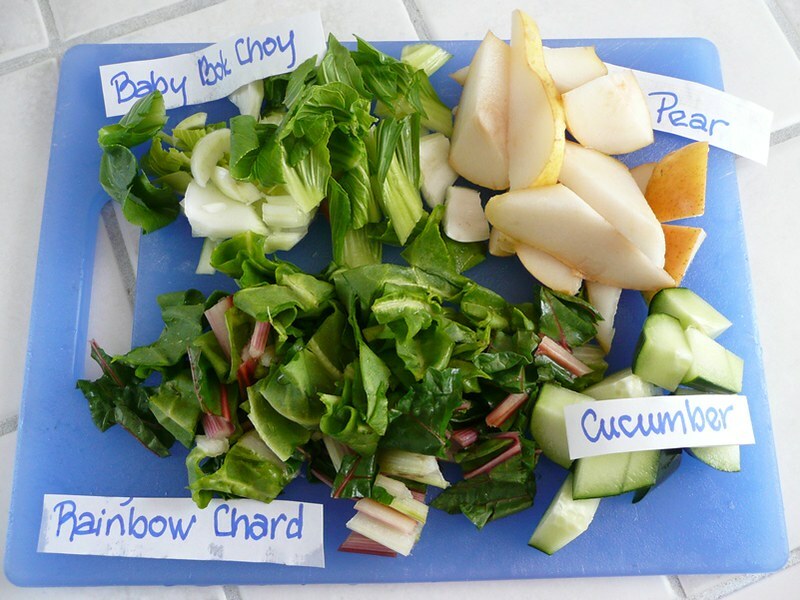 Do you know which blade I should be using to blend the veggies and have it come out creamy? Also, tell me how to use the blender. Do I move it around like a hand mixer or set it at the bottom of the pot, then blend, then pick it up and set it back down, etc. ?